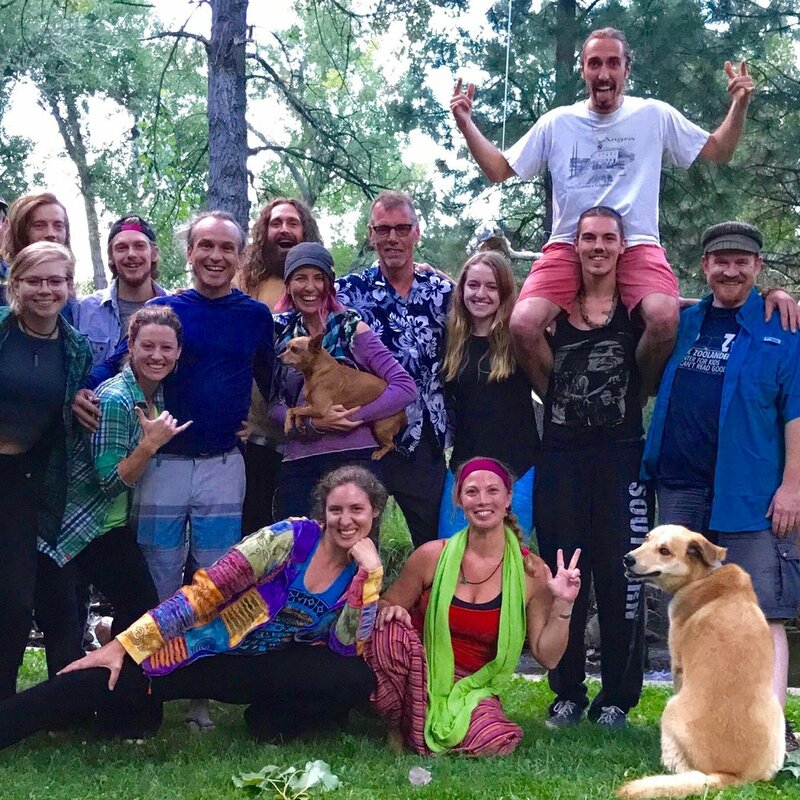 Our retreat is designed to welcome, nourish and guide you as you reconnect with yourself through yoga, nature and compassionate community. Practicing in harmony with the lunar cycle, you are guided through a process of setting intentions and manifesting your highest potential through your creativity. Focus: To write from the Heart - to open to a place deep within to allow our innate wisdom and higher spiritual awareness to flow us with grace, ease and lightness of being. As a group we will also explore life vision, linguistic intelligence and divine purpose. This is an extraordinary opportunity to stay at the River House, a destination retreat space for personal growth and replenishing. All levels of yoga and writing welcomed, and all levels of yoga and writing taught! We are 44 miles from Denver International Airport, DEN - an easy $9 bus trip - AND we pick you up! At Night, the Land Becomes Magical! Performance with Audience on the last Day. Room with a friend for $44 extra. Call MysterE 303-229-3326 after registration to book. Instructors: MysterE - author of seven books, a screenplay, and 15 original songs. MysterE shares his practiced art of opening the Heart and allowing the wisdom to flow. Miranda Magic Miller - our lead yoga instructor who meet all students where they are and encourages growth and openness. There will be offerings from other writers and teachers from our team. One could never predict who will show up and what will happen outside of our structured time together.